The American government has been repeatedly criticized for spending our hard-earned taxpayer money on inappropriate things, but this one's got to take the cake. In an investigation conducted by the Associated Press, it was discovered that suspected Nazis have been collecting Social Security since being kicked out of the U.S. The payments, which amount to millions and are underwritten by American taxpayers, were permitted through a legal loophole that the U.S. Justice Department used to convince Nazi suspects to leave the country. If they agreed to go, they would be allowed to keep their Social Security. Though the Justice Department denies using Social Security to persuade Nazi suspects to leave, the AP spent two years conducting interviews and analyzing records obtained through the Freedom of Information Act that state otherwise. Their findings show that both the U.S. State Department and the Social Security Administration objected to methods of the Justice Department's Criminal Division unit, the Office of Special Investigations (OSI), which was tasked with identifying Nazi war criminals living in the U.S. Since the OSI's establishment in 1979, the AP found, at least 38 of 66 suspects who were expelled from the States kept their Social Security. Attempts to close the loophole failed 15 years ago and today, at least four of these suspected Nazi war criminals are alive, living somewhere in Europe, off of U.S. Social Security. Based on the number of suspects who qualified and the more than 30 years that have passed since the first former Nazis signed this agreement, the AP estimates that millions of taxpayer dollars have been paid thus far. How did this happen? In the mid-1970s, the American public became aware that there were thousands of Nazi immigrants living in the U.S. among them. For Holocaust survivors, this was a living nightmare. Thus, the U.S. Department of Justice created the OSI, whose main task was to hunt down and remove Nazis who contributed to persecuting civilians, according to the AP. 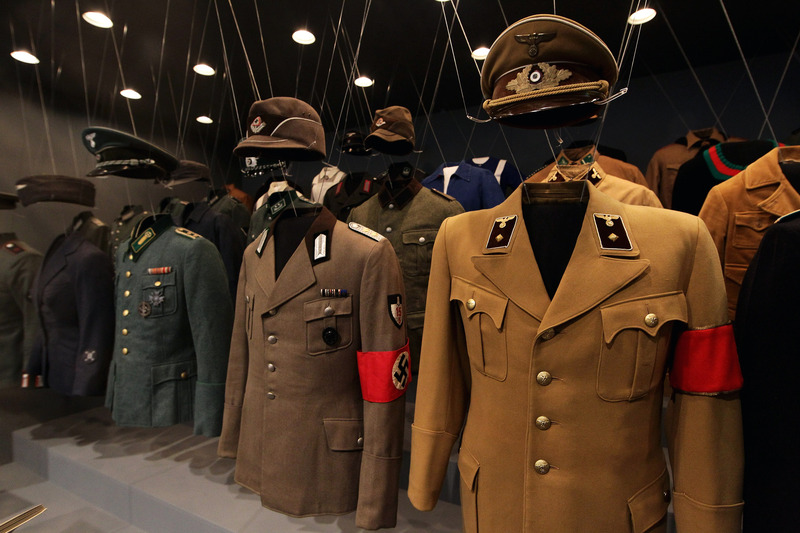 According to the United States Holocaust Memorial Museum's website, the OSI was "the most active and successful such law enforcement unit in the world." However, since these suspects' crimes were committed outside of the U.S. and usually against non-Americans, they could not be tried in the U.S. The OSI's other option was to prove that they had lied to immigration agents about their role in WWII, strip their citizenship through a lengthy legal process, and then deport or extradite them. With public pressure focused on them, the OSI chose a speedier method instead. According to the AP, the department used the Social Security agreement to persuade them to leave voluntarily. And many did. So Who Are These Suspects That Taxpayers Have Been Funding? Some examples of these suspected Nazi war criminals living off of U.S. Social Security include Jakob Denzinger, a 90-year-old suspected former Auschwitz guard who now lives in Croatia and collects about $1,500 a month in Social Security. Another suspected former camp guard, Martin Hartmann, who used to live in Montana, now resides in Berlin and collects Social Security payments each month. Yet another is Martin Bartesch, who the AP identified as a former SS guard at the Mauthausen concentration camp in Austria. After Bartesch landed in Vienna in 1987, his U.S. citizenship was revoked and he was suddenly Austria's problem, which Austria did not take well. Bartesch collected Social Security in Austria until he died in 1989.